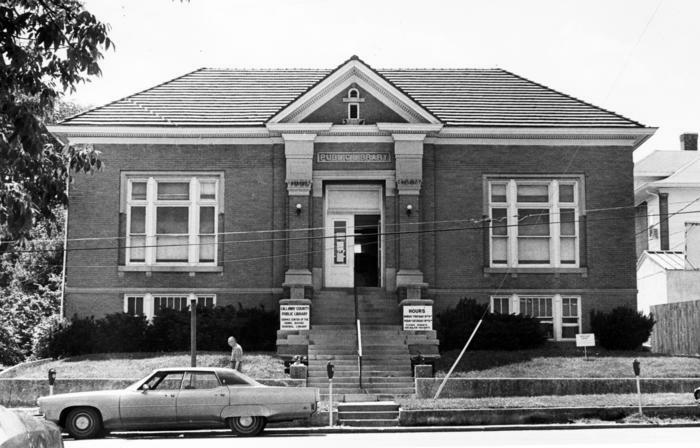 Pictured is the exterior of the Callaway County Public Library before the addition and renovation. The original structure was built as a Carnegie Library. Cars are parked at the 5th street entrance. Daniel Boone Regional Library Collection . Exterior: a1_serv_bldg_182. Archives of the Daniel Boone Regional Library. 20 Apr 2019.